I have always adored popsicles and the interesting flavor combinations you can create. However, that perfect frozen yet soft crystal structure that you find in store-bought popsicles always eluded me. I bought countless different molds over the years trying to find what would bring me popsicle bliss, but the final pop never had that exquisite texture I craved. The scientist in me needed to know why. It turns out the critical factor is T I M E.
The main difference between a store bought popsicle and what we make at home is the SIZE of the crystals in the frozen product. The faster something freezes, the smaller the crystals are. The smaller the crystals, the finer the texture. Our home freezers, despite being cold to us, actually freeze things rather slowly. The formed crystals are large and just aren’t as pleasing to the tongue. It’s simply not possible to get that texture with a normal mold at home! However, store-bought popsicles come with some downsides. They are expensive. One must navigate the waters of “I-hope-these-don’t-melt-before-I-can-get-through-the-endless-line-at-the-cashier-and-make-it-home!” And they include high sugar content and other ingredients we cannot pronounce that the health conscious among us may not want to feed our kids. 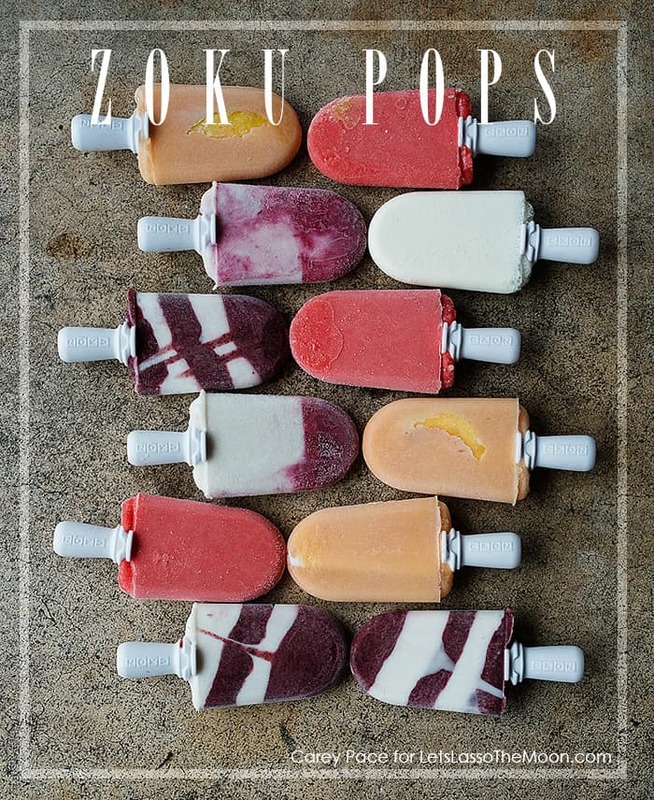 The Zoku Pops Maker is an amazing little piece of kitchen technology that was born out of the desire to freeze popsicles faster at home! (remember, faster freezing means better texture!) You store the unit in the freezer until ready for use. There is no electricity required. The cold solution surrounding the molds inside the unit allows for super fast heat transfer, which freezes your popsicle fluid before your eyes. I am not exaggerating here. I read that it made popsicles in 7 minutes, but it really is something to watch come true! 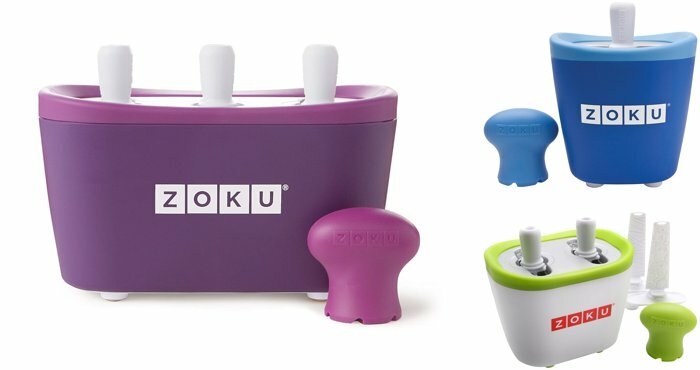 The Zoku Pops makers come in Single, Double, or Triple models (purchase one here), meaning you can make one, two, or three Zoku pops at once. You can use almost any liquid to create a popsicle! After you make the first batch and pop those out, you can pour in more popsicle fluid and freeze a second batch. This one will take a little longer to freeze because you are starting at a warmer temperature. You can make a third batch of pops (which again takes even longer to freeze solid – yet still much faster than traditional freezing!) before the unit needs to return to the freezer for a few hours to get super cold again. Texture: I love that the Zoku allows me to make popsicles with that coveted perfectly smooth, frozen yet soft texture in my own kitchen. Control: I love that Zoku lets ME be the one who controls WHAT is in the popsicles I’m feeding my kids for dessert. I control the sugar content. I don’t add artificial colors or flavorings. 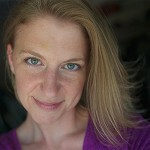 And I can begin to introduce more complex flavors to their palettes, like ginger, or basil, or lemongrass! Ease: The ‘remover tool’ screws onto each popsicle stick and uses that force to dislodge the popsicle from the mold. It’s absolutely brilliant. No fighting the mold. No running it under hot water and melting half the popsicle. Portion Size: The portion size of the pops is really nice. It’s not too much for a young child to finish, and it is just enough to satisfy that adult need for something sweet after dinner without overloading you with calories. Chill: The pops WILL freeze faster (in that 7 minute time range) if you thoroughly chill the popsicle fluid first. You don’t have to, but it will take longer. So throw your ingredients in the blender (I love this one with a capital L) a couple of hours early and then freeze as you sit down for dinner. Thin: I like my smoothies thick, but I have found that you need a runnier consistency for pouring into the Zoku. You don’t want it to freeze as it enters the mold and prevent the fluid from filling the mold. 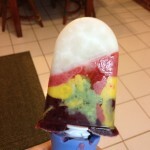 Check out this ‘pinstrocity’ from Instagram that I made when I thought I’d make a rainbow pop with thick fruit purees. We affectionately refer to it as “what the inside of a frog looks like”. Pour Spout: Find something with a tiny spout to pour the fluid into the molds. It makes for much cleaner Zoku pops. I use my 1 cup OXO angled measuring cup with a spout, but this little mini cup looks like it would be perfect for this and measuring out small quantities for layers. Pop ‘Em then Leave ‘Em: When you use the ‘remover tool’ to dislodge the Zoku pops, just let them fall back into the mold as you unscrew the other pops. Once that suction has been removed, you can continue to pull the pop out using your own power. This keeps the pops wonderfully frozen as you are tending to the other pops. Duplicate sticks: Go ahead and order a second set of sticks so you always have clean sticks on hand. The popsicles can be made ahead of time and placed in a freezer bag. I find the texture to be harder than when they are fresh made, but if you let them sit on the counter for 5 or so minutes, it solves that problem. Uh oh: I’ve only had one Zoku disaster in the two years I’ve had it. The instructions warn against going too low in sugar content, using artificial sweeteners, or using ice cream or pudding, because the remover tool may not be able to get the pops out. Although I utterly ADORE Alton Brown’s Fudge Pops recipe, it wouldn’t come out of the Zoku. So I guess I have something I can use all my old popsicle molds for! Model size: Consider the size of your family when selecting the model to purchase. For example, for a family of four, it may be better to go with two Double models so that four popsicles are finished at once. For us, someone (me) always ends up having to wait for the second batch to have her popsicle, with the two kids and Daddy having the three that pop out of the first batch. You really can turn any liquid into a popsicle – it’s an endless world of possibilities. 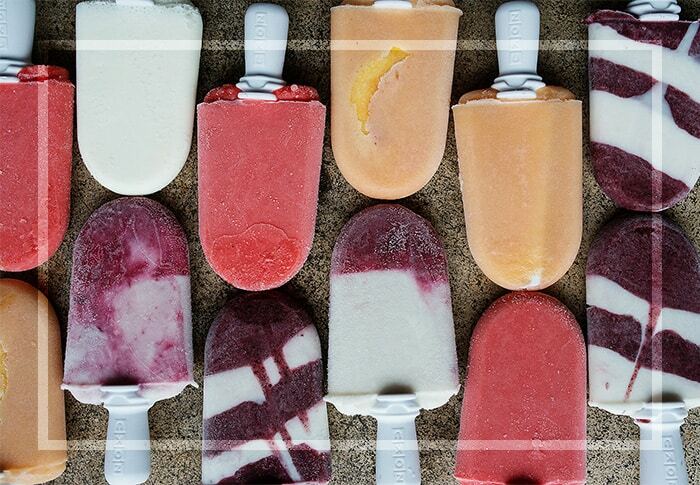 Be sure to check out these seven delicious Zoku pops recipes to get you started. 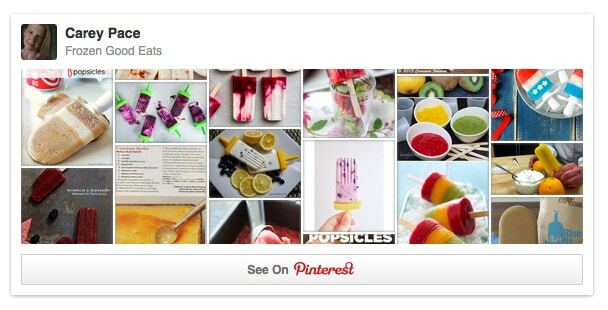 Be sure to also follow my Frozen Good Eats Pinterest Board for tons of ongoing Zoku pops recipe ideas!